Facebook introduced a new version of search on the site called Graph Search late yesterday night India time. 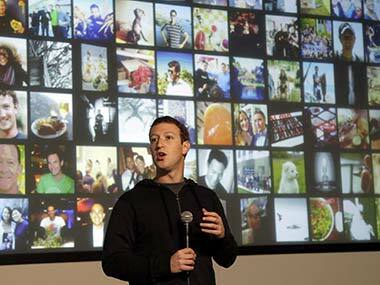 According to Mark Zuckerberg, Facebook now has three pillars, namely Newsfeed, Timeline and now Graph Search. Graph Search is still in beta mode and when it does go live it will be available on desktop first. Mobile version of Graph Search will still take some time. So what is that you as active Facebook users need to know about Graph Search? Here’s a quick look at exactly how it works. • How it looks: Graph Search will appear as a bigger search bar at the top of each page once it goes live. When you search for something on Facebook, that search not only determines the set of results you get, but also serves as a title for the page. Facebook is giving users the option to edit the title of the page as well and thus create their own custom view of the content that you search/share. • This is not web search: Zuckerberg pointed this out at the very beginning of his presentation. It’s not going to give your best possible results and links like a regular web search. Instead Graph search will look at phrases that you type and give you results based on what your friends have shared. • What it will let you search for now: Currently search will focus on Photos, People, Places and Interests. So if you want to search for say people who live in your city with the same interests like a Tv show, Graph search will show you the relevant results. Every time you check into a restaurant or mall, Facebook’s Graph Search could show it to your friends if they too search for the same place. • What about privacy Again Zuckerberg was keen to emphasise this during the press event and it seems Graph Search will not shred your privacy settings. Only results that you have shared with friends, friends of friends, or the public, will be found by other people. Photos, updates and links that keep at a custom setting of “Me only” won’t be displayed in Graph Search. Remember though that if you have a group photo with several friends tagged in it, their friends will be able to search for the picture via Graph Search. Facebook will be giving users the option to review the Activity log before they make Graph Search live across the site. So yes, it’s time to go to your timeline and hide any pictures that you don’t want to public or share with all with all your Facebook friends. Facebook Graph Search is still in beta and is only available for users with US English as their default language. To join the waitlist click here. ‘Refine This Search’ box which is on the side of the Graph Search. It will let you change the pieces of your search equation as and when you want. Friends of friends feature is all about dating queries. The so-called new-connections that Zuckerberg was talking about. This will let you search for friends of your friends with certain filters. Photos of my friends The results are according to ‘the best photos’. This is decided by comments, likes etc. Zuckerberg said at the conference, “We are indexing our map of the graph, which is really big and constantly changing. Almost a million new people every day. 240 billion photos. 1 billion people. 1 trillion connections.” So yes Facebook has a lot of data and it’s going to try and let you search around it.